Our team is ready to build the kitchen of your dreams! Kitchen projects can range from $5000-$100,000. Whatever your budget, we execute the design and build to your requirements. This kitchen has too much storage space. Said no one. Ever. Add a pantry or change the cabinet layout to make the most of your kitchen space. Do you want your indoor kitchen to connect to your outdoor kitchen? Do you want a large window or an eat-in kitchen? We can accommodate any design. Your kitchen make over is our favorite type of project. As your primary contact, we focus on the details so you won’t have to. A traditional remodel involves using at least two different companies: a designer and a general contractor. This can cause a myriad of problems, as anyone who has ever undertaken a remodeling job knows. Many times the architect will blame the builder for problems and vice versa. The worse case is when the homeowner tries to handle the “design” himself and misses key construction factors. As a design-build firm, we help with both aspects of the job, so there is no finger-pointing. We take full responsibility for both parts of the job, so you don’t have to worry about micromanaging. If something is not going perfectly, you know exactly who to call – US. Often, a designer will show you his or her idea, and you’ll fall in love with what you see, but when you present the plan to a builder, you discover that the architect’s plans will be extremely costly. On the other hand, providing a budget number up front, then you might end up looking at a floor plan that is overly simple and not attractive. By using one company to perform both the designing and building services for your kitchen remodel you can eliminate this dilemma. We help provide you with an eye-catching design that is functional and affordable. Another one of the benefits of selecting a design-build contractor for your kitchen remodel has to do with efficiency. Dealing with multiple companies means things can get lost in translation and communication between companies and trades could become an issue. Hiring a design-build firm eliminates this problem because everyone from the sales department to the person who puts the finishing touches on your kitchen will be familiar with the project and will be aware of what’s taking place. This will help you avoid a host of design, budget and construction issues that could arise if you use one company to create a design and another company to do the construction. You’ll be pleased with our enthusiasm and quality of work, too, as we feel invested in the project from start to finish. There isn’t one reason why so many people opt to hire a design-build contractor when remodeling their kitchens…there are at least three. The process is a lot more simple from beginning to end, you can balance your budget with your design goals, and the entire project will go more smoothly. If you’re interested in remodeling your kitchen and would like to discover how a design-build contractor can make your life easier then give us a call today and let us show you how using a single company for the entire job can save you time and money and eliminate the stress of home renovations. How do we keep the kitchen remodel on budget? How much value will this work add to the price of my home? What are the permitting requirements for our remodel? Which style will go best with the rest of the home? What are some of the key kitchen remodel mistakes to avoid? We work with a range of materials and supplies. Flooring is one area of expertise for our contractors. Modern, Farmhouse, Galley or Rustic? 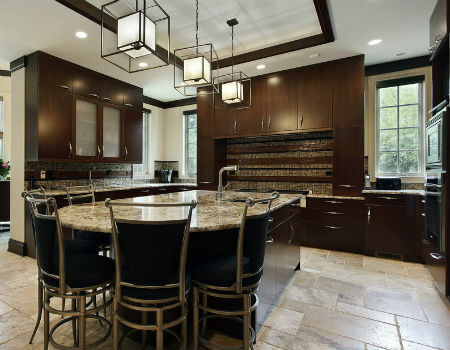 Adding pendant lights, recessed can lights and chandeliers to a kitchen really updates it. We have the right team to rewire, replumb and restore your kitchen. 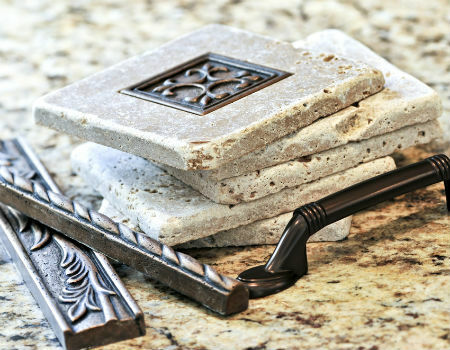 The right fixture or cabinet hardware can make your newly renovated kitchen pop. 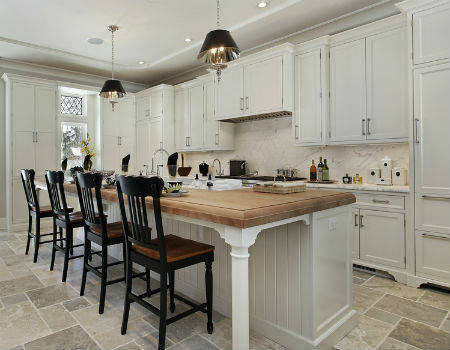 Let us help you coordinate the appliances, finishes, and cabinets.